This tutorial will tell you how to make your own image link to put up on your blog or website . 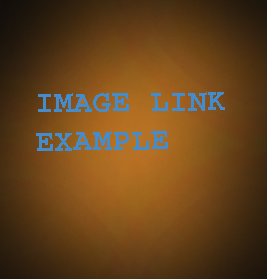 1) For an image link you are required to have the desired 'link' as well as the the 'image' . Note that the img src should be a link from the internet and not from your computer's folder . It should not be like this : img src="C:\Users\...image.jpg" . 2)If your desired image is already on the internet , skip this step . Also keep in mind that the image you will choose , cannot be resized after becoming an image link . For resizing the image before hand to avoid any disruptions , go to Picresize . 3)Once you have uploaded the image , you can just copy the code below and paste it in your HTML code of your blog . • For a glowing image link , you simply have to copy the code below . • If you want to increase the glowing effect on mouseover , just replace the 0.8's and 80's with your required opacity percentage . Lesser the number , more the glow effect . • Note that the no.s that you may change must be identical i.e. 0.4 and 40 , 0.6 and 60 and not like 0.4 and 60 . Hope all the information provided in the post is sufficient . If you have any question feel free to ask them in the comments or send me an email .